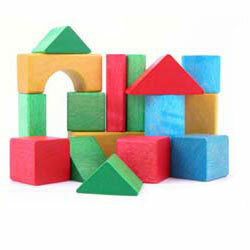 DescriptionWe select toys according to your child(ren) age(s). Please ensure to let us know how old are your kid(s) ! A bucket with 5 to 7 toys, selected with a toys specialist: top, shapes sorter, cars, phone, bath toys, building blocs, books, rattle etc...depending on child age and availability. First lot of batteries provided. You can specify if this is for a girl or a boy at the order if you wish. We'll then adapt the toys selection. If no mention, we'll select toys that fits both girls and boys. It is not always easy to occupy baby when not at home. So why not rent toys? At baby'tems, and due to the fact we're also parents and know the difficulty to put some toys in a suitcase, we've imagined toys buckets to rent with a variety of toys, such as rattle, top, building block...Just remember to book toys together with your baby equipment rental. Camille, we were very happy, thank you! Everything was in great condition and delivery and pick up prompt and friendly. Such a relief to have everything we needed delivered to our door.